I can still remember the first time I heard "Breathe" by Pink Floyd. It had an ethereal, spacey quality I had never heard in music before. A beautiful melody that created gentle waves of music. Over the years, I致e enjoyed a number of bands that have been able to create that spacey, wavelike motion in their own music. Two that come immediately to mind are DarXtar and early Porcupine Tree. I知 sure you know where I知 going with this, but bear with me for a moment. I have a number of earlier FSOL discs and I had lumped them in the "sound collages with occasional techno beats" group. You have one and you have them all. Right? So, where do I get off comparing some studio electronic geeks to the real bands I mentioned in the previous paragraph? It痴 been awhile since I heard space MUSIC. I知 not talking about drones and trances, tribal/ethnic, or space rock. I知 talking about, subtly intricate, gorgeously melodic music that is accessible enough that it can be easily consumed by the short attention span masses, yet is interesting enough to keep an old (and I知 real old) prog-head interested for more than a listen. At times it all just hovers at the edge of consciousness. What else do you want to know about this CD? Unlike their previous works, it all sounds like a band. It痴 lovingly crafted. There痴 real people singing real lyrics. Stop reading this review and go out and get one! 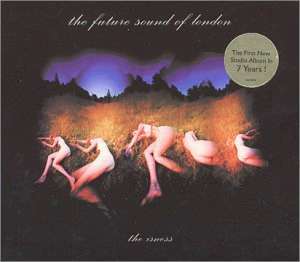 For more information you can visit the FSOL web site at: http://www.futuresoundoflondon.com/fsol/fsol.html.